Triplett Mechanical Services is proud to serve the St. Charles community! 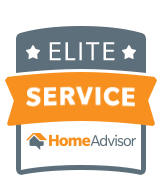 Please call us today at 314-488-0373 to consult with our home comfort specialist. About St. Charles, MO - Happy to be your hometown Heating & Air Conditioning Contractor! St. Charles serves as the government seat of St. Charles County. It is the 9th largest city in Missouri by population, as the community is home to over 66,000 residents. This St. Louis suburb is found on the Missouri River, and it served as the state capital from 1821 to 1826. Besides local government, top employers here include Ameristar Casinos, SSM St. Joseph Health Center, and Boeing. Higher education is also home to Lindenwood University. There are many attractions available in St. Charles. Automotive enthusiasts might like to check out the collection of muscle and classic cars at Fast Lane Classic Cars. Families with children might prefer to play laser tag at Adrenaline Zone or to burn off some energy at Altitude Trampoline Park. The Ameristar Casino Resort Spa is a popular hotel and conference venue, while beer and wine fans might prefer to check out Augusta Brew Haus. Residents of St. Charles will need both home cooling and heating systems to deal with the varied weather conditions experienced here. Summers in St. Charles are humid and hot, with average high temperatures in the mid-80s. Oppressive humidity may make it feel even warmer, and the season is prone to severe weather with the potential for tornadoes. The right gas or electric furnace warms interiors while protecting plumbing and pipes regardless of how low temperatures drop outdoors. HVAC technicians recommend that St. Charles area residents have their home climate controls evaluated at least annually. Preventive maintenance is essential when it comes to climate controls, as a simple tune-up can help to avoid expensive problems in the future. This is especially true during the colder winter months, when temperatures can fall below freezing many nights each year. When an HVAC system runs at peak efficiency, homeowners will also save money on monthly utility costs.